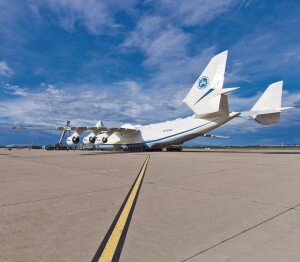 Antonov, the famous Ukrainian aircraft designer and builder, is having new structured cabling systems for local data networks installed at various sites. And has opted to use solutions from R&M. Project: LAN cabling on the airplane manufacturer’s premises, from 2015. Application: Structured office and building cabling with Cat. 5e shielded, R&Mfreenet and the R&M security system. 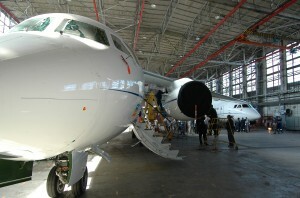 Aircraft builder Antonov was looking for a new, versatile cabling solution for various sites across Ukraine. The passive infrastructure was to ensure unlimited data transfer. In addition to the connections for the local systems and telephone networks, the cabling was to support numerous other applications such as security systems, video surveillance, etc. The company opted for a solution based on the modular cabling system R&Mfreenet. A tried and tested Cat. 5e shielded copper cabling solution now covers all customer requirements long term. The certified R&M partner in Ukraine, Synergia SE, was responsible for the installation project. All three levels of the R&M security system were used to ensure the demanding security requirements were met. Antonov is satisfied with the solution and is already planning the next steps for extending the data networks. The second project phase includes cable renewal in the production areas. This will entail using components that prevent dust and moisture from getting in (IP protection). The specialists at Synergia SE, the official distributor of R&M solutions in Ukraine, will therefore be working together with Antonov on future projects. In this way, structured cabling can make a contribution to guaranteeing the reliability of the airplanes as well as passenger safety.